Joseph Pass is the senior majority shareholder of Jubelirer, Pass & Intrieri. His practice is exclusive to the representation of employees and labor organizations for labor-management relations. He has served as general counsel and special counsel to several international unions. Before entering private practice, Mr. Pass was employed by the National Labor Relations Board and served as administrative assistant and law clerk to the Hon. Henry Ellenbogen of the Court of Common Pleas of Allegheny County and the Hon. John L. Miller of the United States District Court for the Western District of Pennsylvania. He also served as Deputy Assistant Attorney General for Pennsylvania and as a Trial Judge Advocate in the U.S. Army. Mr. Pass is admitted to the Supreme Court of the United States, the Pennsylvania Supreme Court and the United States Court of Appeals for the District of Columbia, Second, Third, Fourth and Seventh Circuits. He was a member of the board of editors at Duquesne University’s Law Review and has been listed in every edition of Best Lawyers in America, a compilation of lawyers rated by their peers as the best in their specialties. Those listed represent less than 1 percent of lawyers in America. 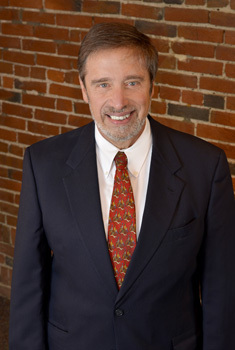 Mr. Pass’ law firm has represented labor unions for more than 75 years, working on behalf of more than 80 labor unions across the country, and Mr. Pass has been involved in the labor movement for more than 35 years. He is a member of the Allegheny County, Pennsylvania and American bar associations and the American Civil Liberties Union. He has three children. His oldest daughter, Melissa, is a teacher and an accomplished triathlete. His second daughter, Christine, is a lawyer, and his son, Joe, is an attorney with JPI and a former professional baseball player. Joe also has eight grandchildren.